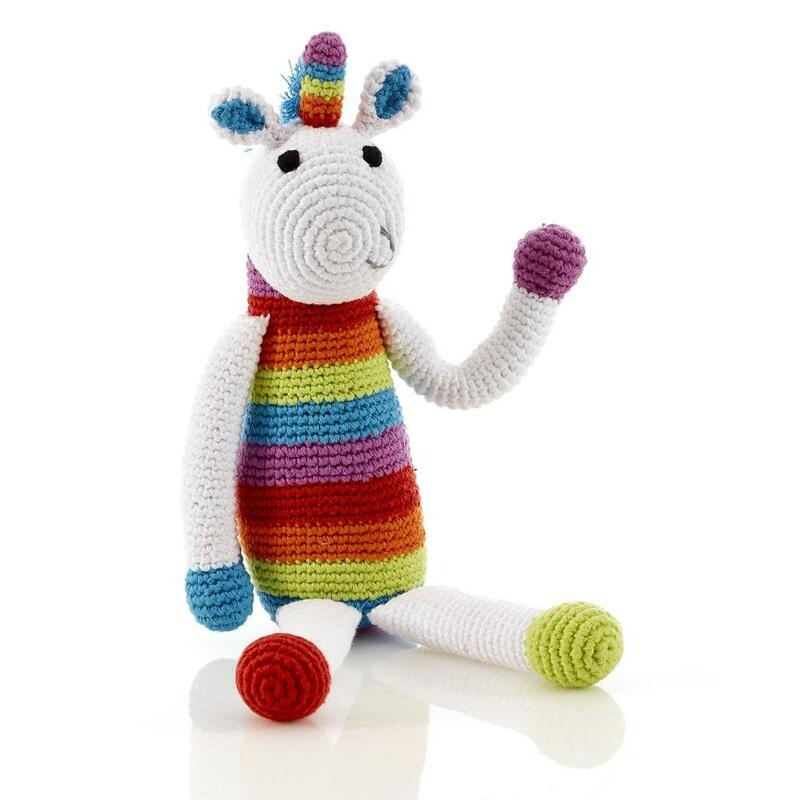 Unicorns make beautiful toys and they don't get more special than Pebble's fair trade and hand made large rainbow unicorn toy. Unicorns are mythical creatures from fairy tales with an enduring appeal to children. Huggable and loveable, this unicorn would be an ideal friend for the special little one in your life.